Cancer is the second leading cause of death in Cuba, after cardiovascular diseases. It is estimated that every year about 21 000 people die of cancer on the island and more than 31 000 cancer cases are newly diagnosed. In response, Cuba has followed WHO recommendations, putting in place a comprehensive national cancer plan that ensures universal access to all levels of health service - from cancer prevention, through diagnosis and treatment to palliative care. The plan is underpinned by a strong primary health care system that enables doctors to see their patients regularly and catch health problems at an early stage. Suspected cancer patients are referred to specialized centres for diagnosis and appropriate treatment. To back this up, the Government has made a major investment in biotechnology. Cuban researchers and scientists have recently made significant progress in their search for new cancer treatments and tools to improve diagnosis and prevention. In 2008, for example, the Ministry of Health registered a first vaccine for therapeutic treatment of advanced lung cancer developed by the Havana-based Centre of Molecular Immunology (CIM). It is one of the biotechnology spearheads in Cuba that is focusing on cancer treatments and vaccines. A second vaccine against the same type of cancer was patented in the beginning of 2013. 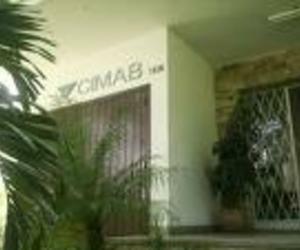 Anti-cancer drugs and vaccines in development at the Centre of Molecular Immunology (CIM), Havana, Cuba. The Centre has also developed the anti-cancer drug nimotuzumab, to treat advanced tumours, for example in the head, neck and brain. Nimotuzumab is a “monoclonal antibody” that mimics human immune cells and binds to specific target molecules of cancer cells. It targets a protein that can cause uncontrolled cell division and growth. The drug is currently going through clinical trials in Japan and Europe. Even in times of economic hardship, the Cuban Government has remained constant in its political and financial support for biotechnology. In the last 20 years it invested around one billion US dollars in research and development. Today, the Cuban biotech industry holds around 1200 international patents and markets pharmaceutical products and vaccines in more than 50 countries. Exports are soaring and generate yearly revenues of several hundred million dollars.